​At MK Limo, we understand that selection is important to our Spring, TX clients. Our limousine rental service is proud to offer not only impeccable service, professionalism, and care, but also an impressive range of the most stunning and well-appointed luxury vehicles. Our town cars, limousines, and party buses give us the ability to work with clients to find the best fit for their budget, group size, and tastes. We believe that all these factors are crucial to the satisfaction and enjoyment of our passengers, and that is why we are happy to provide you with more options and unique styles. ​MK Limo highly suggests that clients book as far in advance of their desired date as possible to ensure that they have access to our full selection of vehicles. We cannot guarantee the availability of the limo you want when you make a last minute reservation. Prom season in Spring, TX is the busiest time of the year for us, and our vehicles will book up quickly. To avoid disappointment, contact us early to secure your dream limo for your special event or occasion. If you have any questions about our vehicles, do not hesitate to call us and we will be happy to help! Our fleet includes a number of different luxury vehicles, which offer various passenger capacities, amenities, and looks for your particular needs. From sedans to stretch limos and party buses, MK Limo is sure to have what you are looking for. 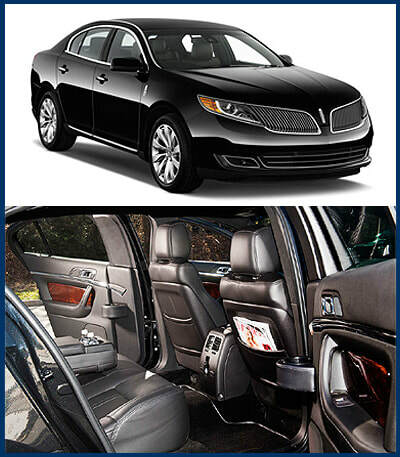 These spacious sedans are ideal for single passengers or small groups of up to 4. They offer ample trunk storage for luggage and other cargo. Our luxury SUV seats up to 6 passengers comfortably, with ample room for bags or luggage. These vehicles are what people most often think of when they hear "limo". Our stretch limousines offer greater passenger capacity and space, accommodating 6-10 people comfortably, while our stretch SUVs can are suitable for up to 14 people. Our party buses live up to their name with the highest passenger capacities, and state-of-the-art amenities for your entertainment and fun. Our Sprinter bus holds up to 10 passengers. The largest of groups will want to take advantage of our Turtle Top Party Bus which can hold up to 25 passengers. ​We offer Spring, TX clients the top in luxury vehicles. Our limos and party buses are sleek, attractive, comfortable, and spacious to maximize the enjoyment and satisfaction of our passengers. We maintain our fleet to the highest standards of cleanliness and safety. Your vehicle will arrive gleaming and spotless, ready to take you to any destination. Whether it is a red carpet party or corporate event, you will never feel out of place or outdated in our refined vehicles.